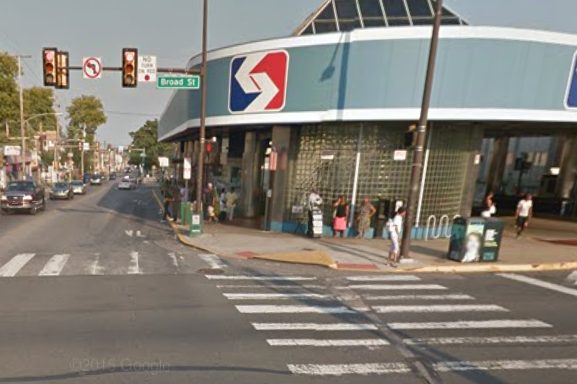 A screenshot view taken from Google Maps shows the intersection of Broad Street and Olney Avenue in the city's Logan section where a shooting reportedly took place on Monday. Four Philadelphia schools went into lockdown mode Monday afternoon shortly after a reported shooting that occurred at 11:17 p.m., near the intersection of Broad Street and Olney Avenue in the city's Logan section. The schools, located in the vicinity, are Central High School, Philadelphia High School for Girls, Julia Ward Howe School and Widener Memorial School, 6ABC.com reports. Sources claim the shooting left an unidentified male with a gunshot wound to the leg. He was reported in stable condition at Einstein Medical Center. No other injuries have been reported, nor has there been any word of an arrest.